Honorarium: Upon accepting a speaking request, an honorarium of $3,000 is requested unless otherwise agreed. This does not include flight or hotel. Which means there will be a total of two (2) separate checks for Joel's visit: honorarium & travel reimbursement. 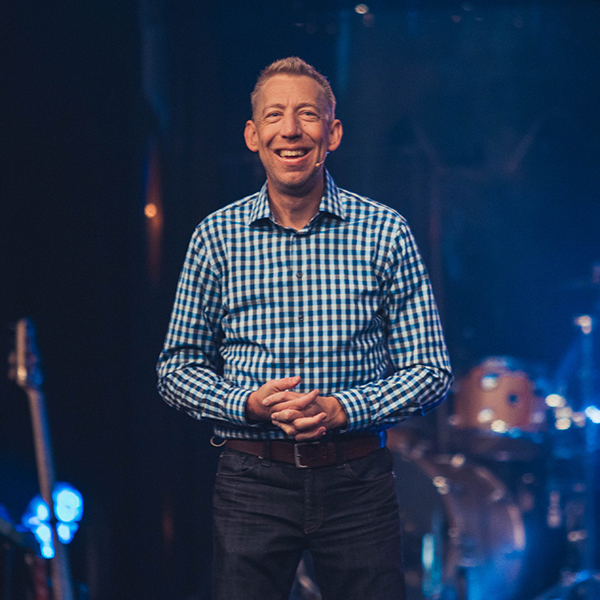 Please make the honorarium check payable to: Joel Stockstill. This check is to be given to Pastor Joel before leaving the event. (Any other arrangement must be agreed upon before the event). If not written correctly, a new check will be requested on site. We appreciate your generosity! It is our joy and privilege to serve your ministry. Pastor Joel requests a cowboy, cordless microphone while preaching when at all possible and ice cold water poured over a glass of ice at the podium. Kleenex is also very helpful to have at the podium. While he is speaking, it is best use the NLT2 version of Scripture to display on the screens/monitors. Prior to the day of the event, please correspond via joel@bethanyinfluence.com. On the day of the event, you may reach Joel directly via 225-244-9373. Neither of these should be shared with anyone that does not absolutely need them. Typically, only an executive pastor, driver, or hosting coordinator will have them. Flights: All flights will be booked by Joel's team. *Please note, if traveling alone, one (1) first-class ticket will be purchased. If traveling with Amie, two (2) economy class tickets will be purchased. We kindly request to be reimbursed before leaving the venue. The total travel cost will be forwarded to your event coordinator by email prior to the event. FYI: Joel mostly flies coach on American Airlines. Meals: Hotel breakfast works best. Ethnic foods preferred for lunch or dinner: Thai, Greek/Lebanese, Fresh fish (no farm raised). Snacks: For room--any or all acceptable! If you're looking for suggestions: Simply Limeade and/or Unsweet Tea (no Green Tea or Diet), Bottled Water, Izze, Fresh fruit (blueberries, strawberries, pineapple), Cashews, Pistachios, or Mixed Nuts, Altoids. Additional Info: T-shirt size: Medium. If you choose to give an additional gift, gift cards are best. The following options are his favorite: Amazon.com, Nordstrom.com, iTunes. Joel has been a prophetic voice to his generation for over a decade. God has used him to effect the lives of countless young people, mentor thousands of leaders, and ignite passion for Jesus in the heart of a generation. He is best known for his leadership of the 220 youth movement at Bethany church in Baton Rouge where over 7,000 youth were discipled weekly. He now serves as the director of BethanyInfluence, Bethany's newest initiative to equip pastors to fulfill the call of God on their life. Joel lives in Dallas with his wife, Amie, and together they minister to youth, young adults, leaders, and local churches across America. Click to download the slides for this message.